Thanks to "substantial productivity" at its mines, BHP Billiton (NYSE:BHP) rang in a 15% increase to its EBIT of US$12.4 billion and increased profits 31% to US$7.8 billion for the half year ended 31 December 2013. The company's shares were up %1.05 to $68.32 on the New York Stock Exchange. There was more cash at hand to service debt. The company saw net operating cash go up by 65%. BHP Billiton expects its net debt of US$27.1 billion to drop to US$25 billion by the end of the 2014 financial year. The company touted a 10% increase in production with records achieved across three commodities and 10 operations. Western Australia Iron Ore (WAIO) achieved record production of 108 million tonnes (100 per cent basis) as the operation benefited from the early delivery of first production from the Jimblebar mine. Queensland Coal also achieved record production for the half year as productivity initiatives increased annualised production to 68 million tonnes (100 per cent basis) in the December 2013 quarter. Ccopper production increased by six per cent to 843 thousand tonnes. 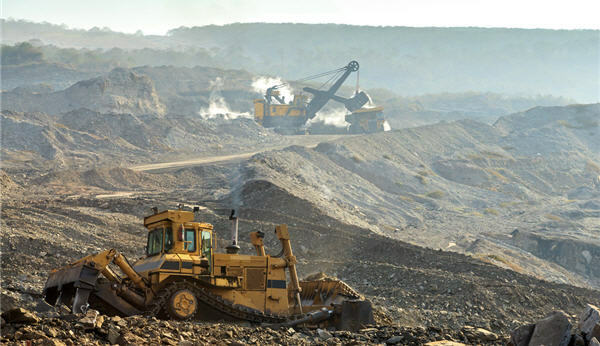 BHP Billiton has 10 major brownfield projects under development with a combined budget of US$17.5 billion. Capital spending was down. BHP expects to spend 25% less on capital and exploration expenditure to US$16.1 billion. The figure will drop again next year. The greenfields the integrated miner is focussed on is copper porphyry targets in Chile and Peru and high value oil and gas prospects in the Gulf of Mexico and offshore Western Australia. BHP was buffeted by falling commodity prices. Lower prices reduced EBIT by US$683 million in the December 2013 half year. Nickel, copper and aluminum were weake,r which reduced EBIT by a combined US$995 million. Coal was also weaker, while iron ore recovered and increased EBIT by US$964 million.